#stampinup #faithfulinkspirations Yesterday I shared the pretty box I made for a set of note cards that was one of my 3D projects at Stampin' Up's OnStage Local event in November 2016. 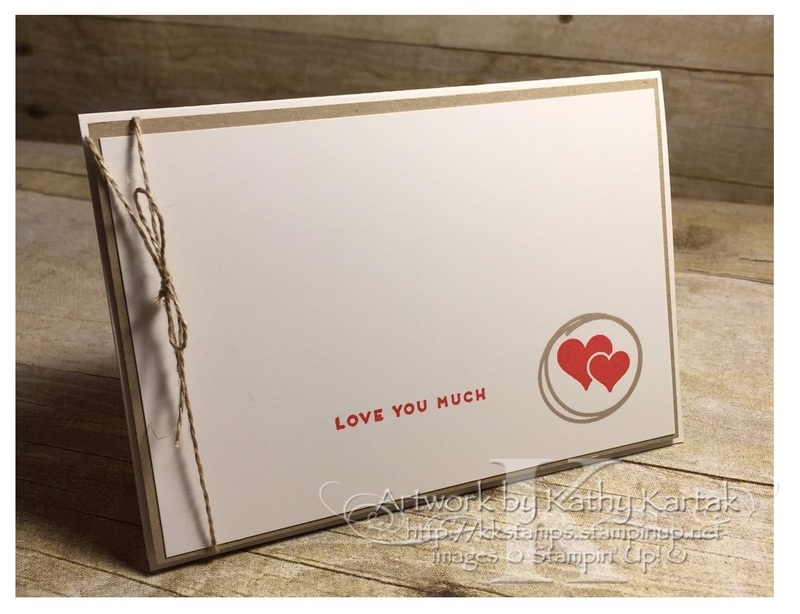 Today--and again tomorrow--I'm sharing three of the note cards that I created using the "Iconic Occasions" host set. Because the images in the "Iconic Occasions" set are so small, I downsized my cards and used the Whisper White Note Cards (item 131527). But I couldn't just use the note cards, as is, I had to add some pizzazz to them! For each of today's cards, I cut a 3" by 4-7/8" Crumb Cake mat. I also cut a 3-1/4" by 4-3/4" Whisper White panel. Because I wanted the scribbled circle to be in the same place on all my cards, I used the MISTI positioning tool. If you don't have a MISTI, you can certainly use the Stamp-a-Ma-Jig positioning tool. 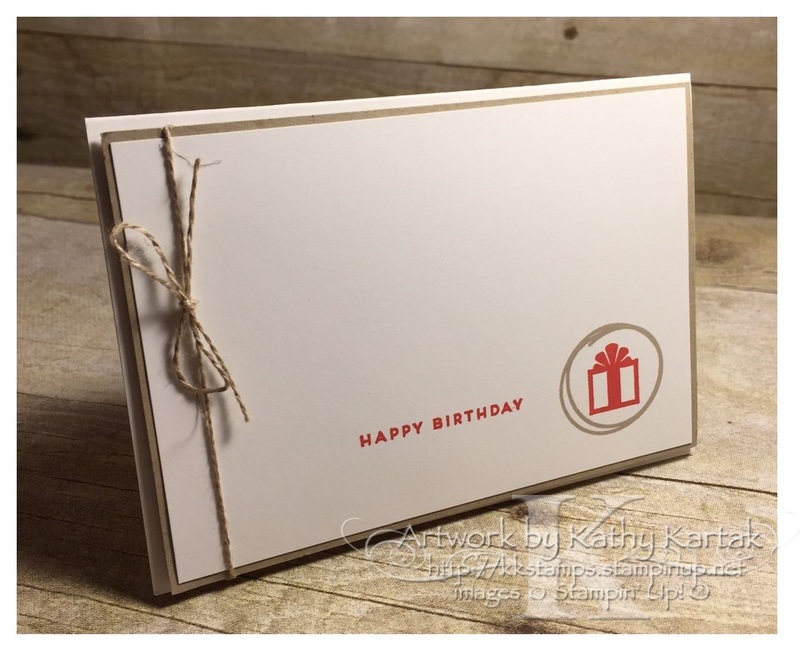 I stamped the circle scribble in Crumb Cake Ink on all three cards. I also used the MISTI to position the image inside the circle and the sentiment in Watermelon Wonder Ink. I adhered the stamped panel to the Crumb Cake mat and tied a length of Linen Thread around each before adhering them to the note card with Stampin' Dimensionals. Be sure to check back tomorrow for the last three cards in this set! !